If you run your own podcast — or are thinking about starting one — then you need to learn how to write in a way that portrays you as the expert you are and convinces people to listen to your program. 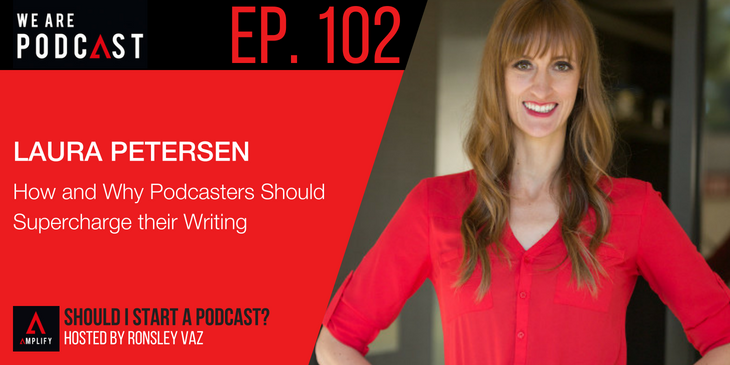 On this week’s episode of Should I Start a Podcast, writing coach and copy guru Laura Petersen gave us her top tips for writing effectively, selling your book and finding your personal freedom. Laura is an established writer, coach and educator with a hit podcast called “Copy That Pops” and several bestselling books, including Copywriting for Podcasters and Permission to Write a Brand Building Book for Podcasters. With plenty of enthusiasm, Laura has a lot to say about how writing can lead to success for any entrepreneur.